I teach workshops introducing beginners to programming in fun ways, and more experienced programmers to weird things they may not have considered doing with software. 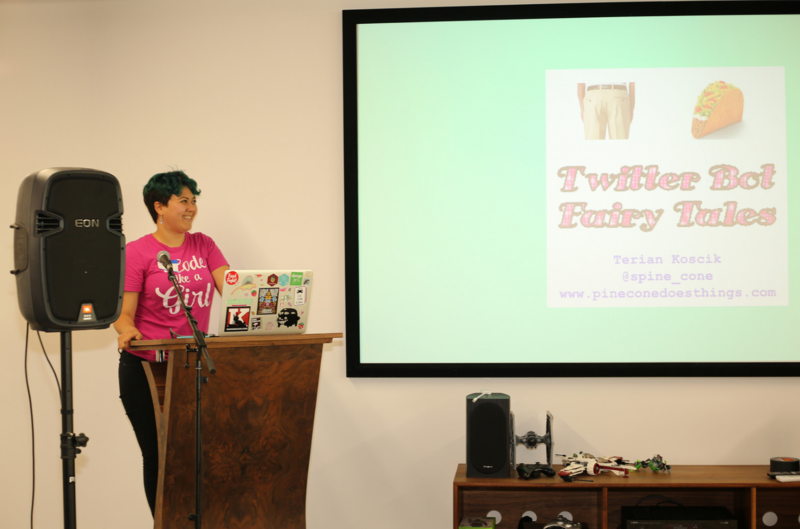 I also give talks about teaching programming and bringing creativity to software. 9/17/2016 | CodeHer Conference, Washington, D.C.